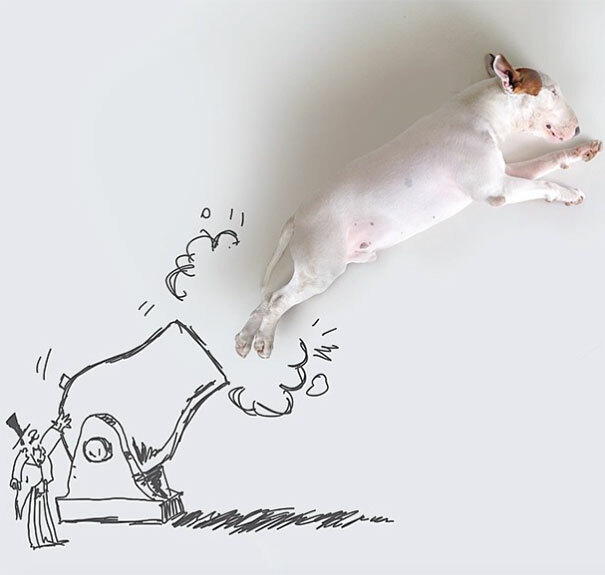 “Potty training” took on new meaning when a jilted husband abandoned by his wife started drawing creative pictures of his bull terrier “Jimmy Choo” around the house. “Jimmy” was the only thing the wife left behind when she split with the furniture, the cookware and most everything else. It’s a well-known fact that pain can be transformed into creative energy and here’s a good example. Rafael Mantesso was left with that old down-and-out feeling after his wife walked out on the marriage and took everything with her. She took the furniture, the cookware, the photos, everything! 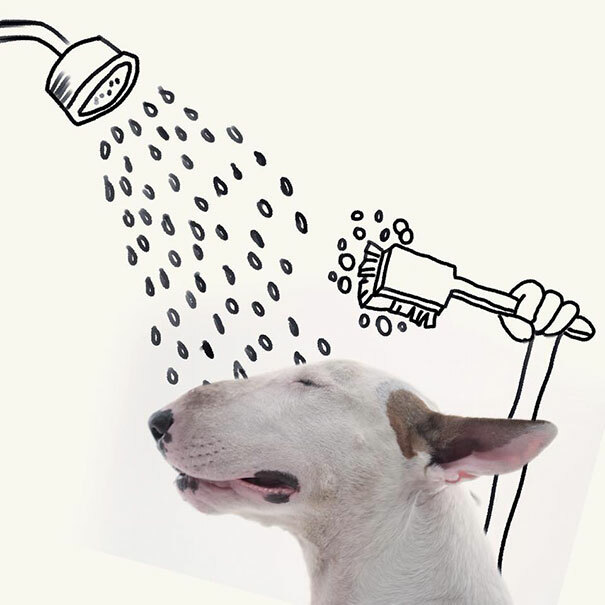 Except the bull terrier, Jimmy Choo. 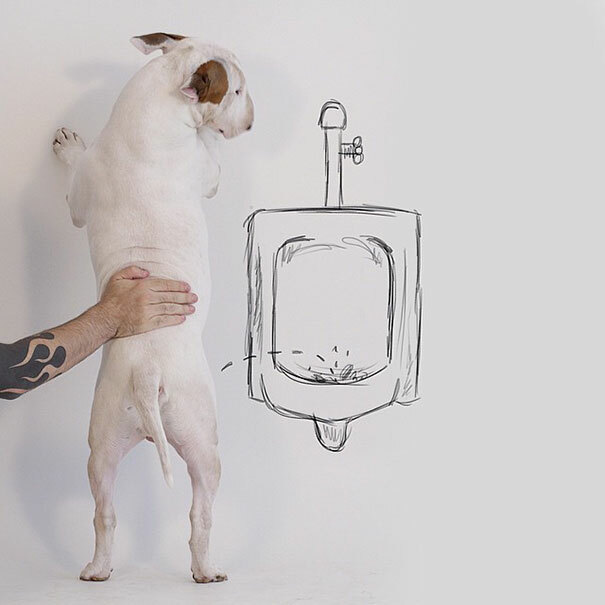 In a classic case of making lemonade out of lemons, Rafael was inspired one day to take a marker and start drawing around the white walls, with the dawg as his model and inspiration. In doing so he rekindled his dormant passion for creative arts and his zest for life. I mean, wow–this one will make you do a double-take or two. 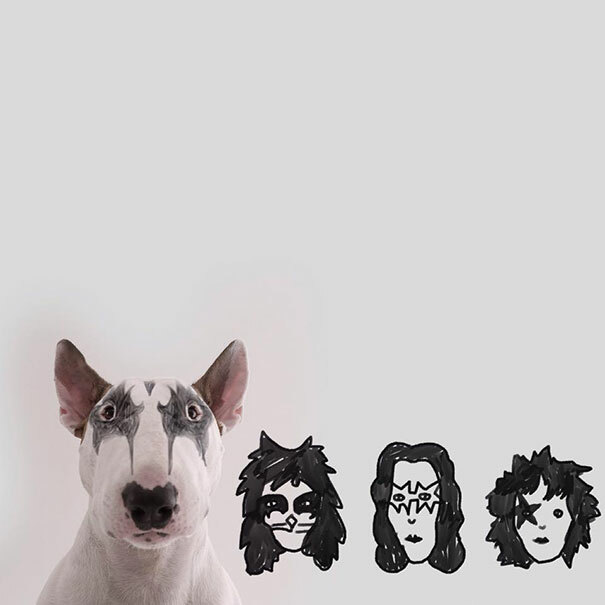 Jimmy wants to rock and roll, oh yeah (and party every day like KISS). 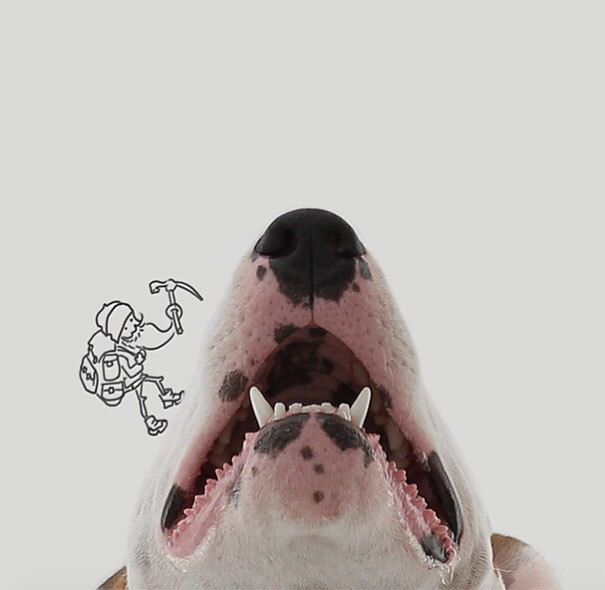 Give this dawg another biscuit–he’s outstanding. 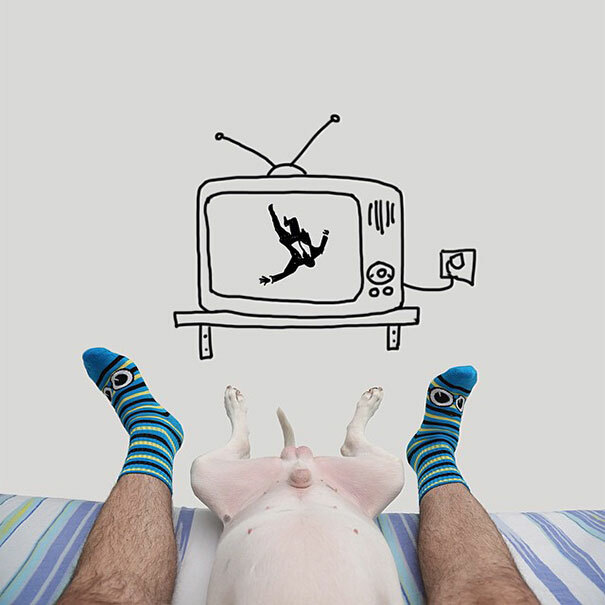 And now to see the whole story and more of Rafael and Jimmy’s work, click right here to the website Amazingthings.com.